Skyd Magazine’s coverage Windmill Windup is brought to you by Five Ultimate. 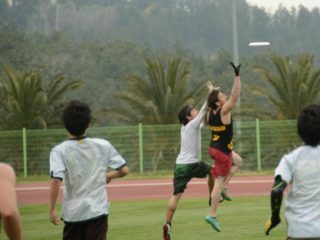 Ultimate is full of universal truths: it’s smart for cutter defenders to jump behind the deepest man when a handler gets open upline. A strong sideline trap limits throwing options and forces turnovers. Accurate hammers are lethal against junk defenses. Massive early season tournaments are pretty much the greatest. Windmill has an interesting dynamic about it. Nearly all of the teams here are working to develop strategy and chemistry and to earn wins over common opponents in Europe; the Swiss draw format, wherein after every round winners play winners and losers play losers, means constant parity throughout the weekend. 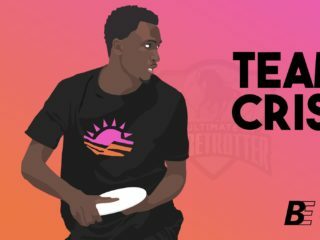 And at the same time, everyone is camping, tournament central has a ferris wheel, and you pay for food with carnival tokens rather than Euros; the whole event is a celebration of the European ultimate community and beyond. The day started well for Cambo Cakes: they beat Blue Arse Flies 15-8 and were third overall heading into the final Open round, before running into a strong Bad Skid team and falling 15-5. Basel, Switzerland’s Freespeed gave Friday its most exciting Open game by pushing Chiniya Rada to the brink of defeat. The team took half 8-6 on the strength of fantastic deep throws from Luca Miglioretto and others as well physical, stingy defense more reminiscent of US Nationals than a fun tournament in Europe. Freespeed continued to play strong out of half, taking the score to 9-6 and 10-7, and 13-11 despite Chiniya Rada’s attempt to slow them down by clogging throwing lanes. 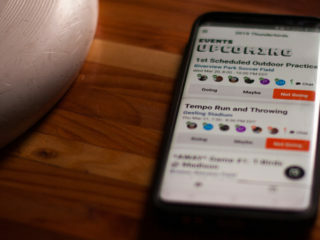 Freespeed felt a huge momentum boost when Peter Bjorn got up over Teddy Browar-Jarus for a score, and the game looked in hand once they reached game point, 14-12. But Chiniya Rada spent the game’s proverbial fourth quarter ramping up both its defensive pressure and its offensive conversion rate and climbed back to force double game point at 14-14. Freespeed lost a chance to win with a drop two meters out of the endzone, but would regain possession on a Chiniya Rada huck that sailed out of bounds. But even with another chance to win, Freespeed looked anxious as the Americans’ marks became more active and their defenders matter-of-factly established their presence. A flying poach block in the endzone by Tyler Kinley gave Chiniya Rada the disc back, and this time they converted for the win. His closing thought is a good one for all of Windmill. Dance music is currently blasting from the DJ booth while players scarf down burritos, stroopwaffles, and beers. Herbie the giant inflatable elephant is standing guard at the entrance of the carnival tent, a reminder that the night’s silliness will increase as the sun goes down and the dance floor fills up. If Windmill can go into tomorrow with the same energy as today, we’ll all be in a good place. For more on Windmill Windup check out thier Facebook, Twitter and website.